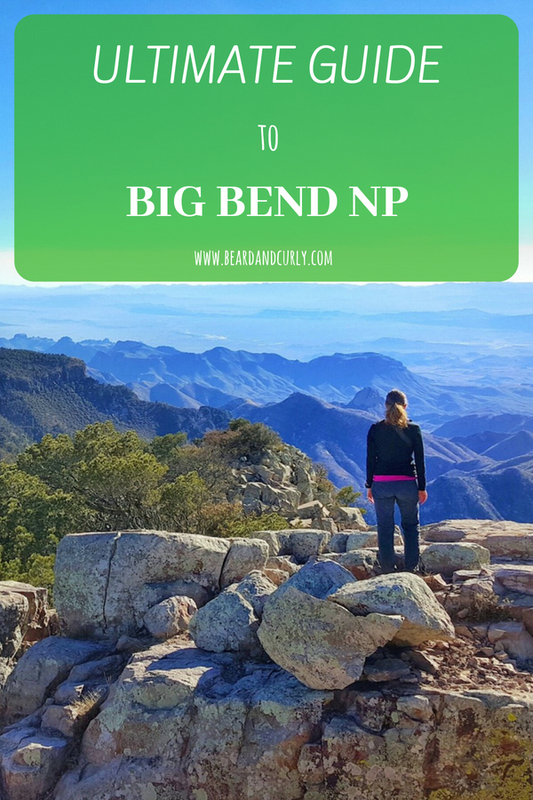 Big Bend National Park in Texas has stunning scenery that is a surprise to many visitors. It is home to scenic drives, beautiful canyons, and excellent hiking. 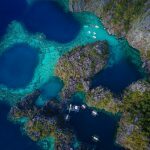 Other activities include soaking in natural hot springs, enjoying world-class stargazing opportunities, camping and even a potential stop in Mexico for lunch. Big Bend ultimate guide covers all the top things to do in Big Bend. 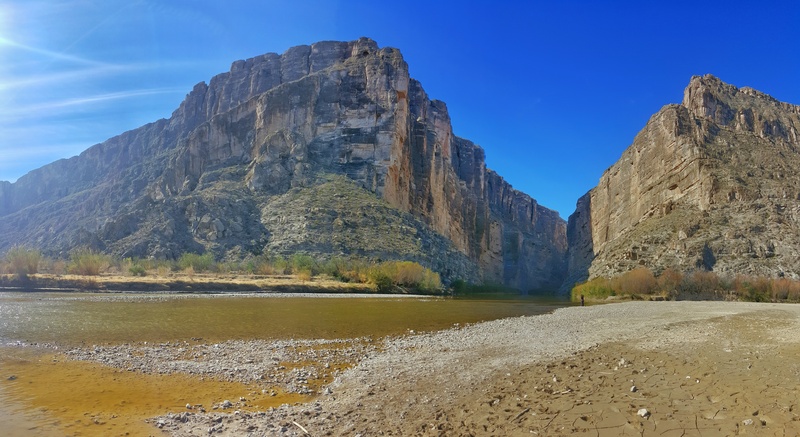 The best time to visit Big Bend is during the Fall and Winter. Winter nights may get cold, however, there are fewer crowds and you can avoid the blazing summer heat. The main campground in the park is the Chisos Basin Campground. Campgrounds cost $14 per night. They have electric hookups and bathroom facilities. Backcountry camping permits are available from the ranger stations. Permits cost $12 for a 12-day period for the entire group. There are several backcountry options, which include “car camping” on the side of some smaller roads. 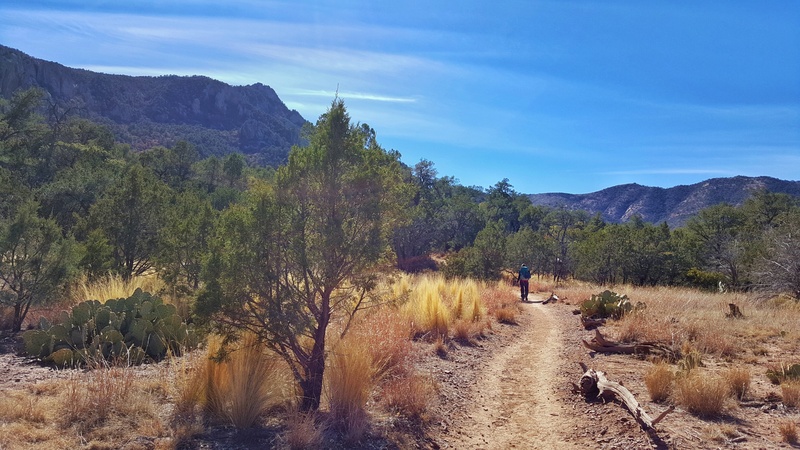 The main backcountry campsites are a first-come first-serve basis on the popular South Rim Trail. How to Get There: The Chisos Mountains are at the center of the park. Less than 1 mile from Panther Junction visitor center, turn on Basin Junction Road. This will lead you into the Chisos Mountains. 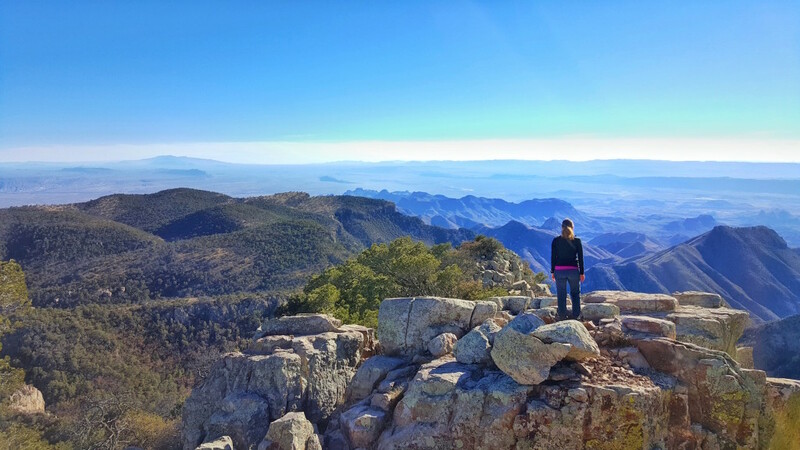 What to Do: There are several hikes that originate in the Chisos Mountains including Emery Peak and the South Rim Trail. 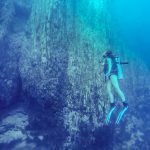 The main campgrounds are located in the Chisos Mountains, as well as the Chisos Mountain Lodge. How to Get There: Drive roughly 15 miles towards Rio Grande Village from Panther Junction. There is a sign for the Historic Hot Springs. It is suggested for high clearance vehicles on this road to the parking lot. If you have a small 2wd car, leave your car by the main road. 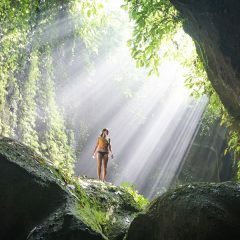 What to Do: The hot springs are only 0.25 miles away. This trail continues for a 1-mile loop if you want to enjoy a scenic walk. 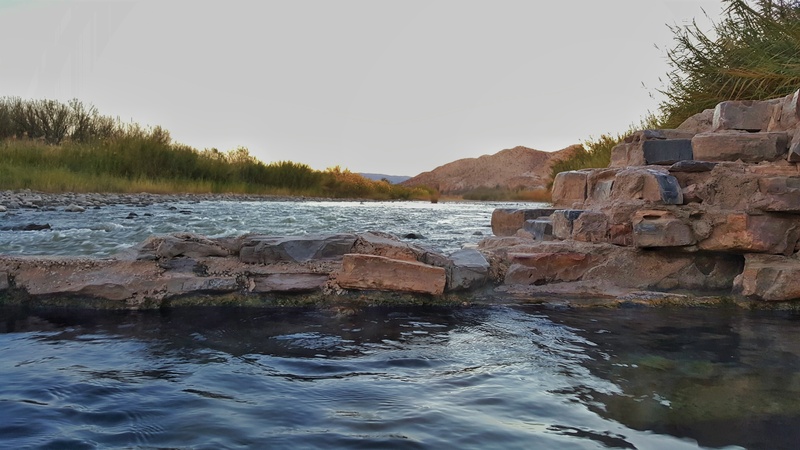 Bring a bathing suit and soak up in these natural hot springs right next to the Rio Grande river. You can even go for a swim in the Rio Grande, and those daring enough can swim to Mexico! How to Get There: From Panther Station, drive towards the Catalon Visitor Center. Turn left on Ross Maxwell Drive. This is one of the best scenic drives in Big Bend. Along the way there are viewpoints and hiking trails for Mule Ears and Devil’s Den. At the end of the road, there is parking for the Santa Elena Canyon. What to Do: There is a short trail that leads you into the Santa Elena Canyon. It is not possible when there are floods. How to Get There: From Panther Junction, head towards the Rio Grande Village. There are signs for Rio Grande Visitor Center, as well as the Boquillas Canyon and Boquillas Crossing. 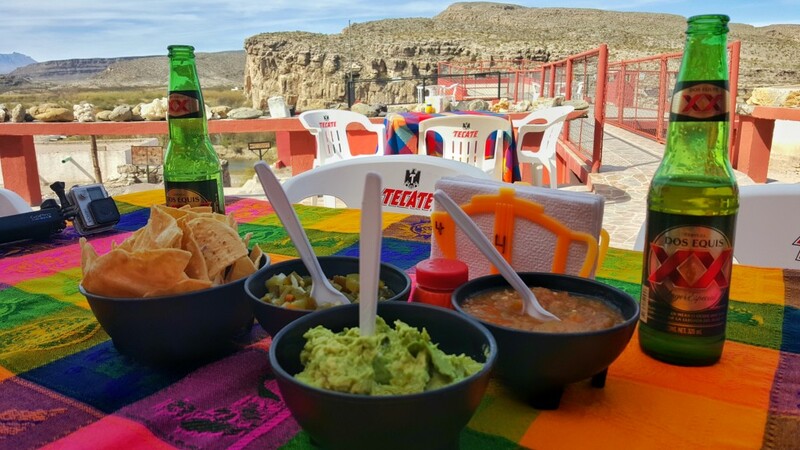 What to Do: Most come here to go to the Boquillas Canyon. There is an overlook as well as a short trail into the canyon. For those with enough time, head to Boquillas Crossing, an official US-Mexico border post. Take the “ferry” across the Rio Grande for $10, payable to the singing man in Mexico. You can hike 1 mile to town, take a car ($10 round trip) or hire a donkey/horse ($16 round trip) into town. Walk around town and grab some lunch at Jose Falcon. 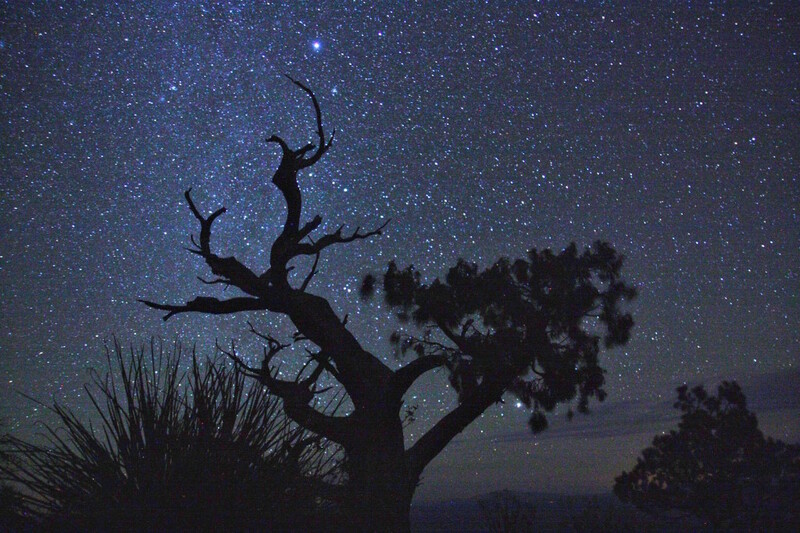 Big Bend National Park is known for excellent stargazing and is rated as an International Dark Sky Park. On a clear night, you can see thousands of stars and the Milky Way.